ASKO was started in 1950 by an enterprising young Swedish farmer named Karl-Erik Andersson set out to build his mother a different kind of washer. A unique, energy- and water-efficient machine that would reflect a farmer's love and respect for nature. One with superior cleaning power and reliability that could heat water, spin, and even boast durable, state-of-the-art, stainless steel drums. A washing machine like no other. So the young farmer built his amazing washer, surpassing even his meticulous mother's high standards. Indeed, the results were so extraordinary, he was convinced to share his creation with others. So he built a world-class engineering and manufacturing facility right on the family farm — where it stands to this day — and a new company was born. The company we now call ASKO. Today, ASKO is an international corporation with a full line of high-performance washers, dryers and dishwashers. ASKO appliances still do a better job of cleaning with a fraction of the water, electricity and detergent of ordinary machines. Every component is constructed of steel rather than plastic wherever possible. And every ASKO product is still built with Scandinavian quality and environmental sensitivity — just as Karl–Erik Andersson intended. In short, ASKO appliances are some of the best-performing, most ecology-friendly, and longest lasting on earth. Made especially for those — like a certain Swedish mother — who appreciate the difference. ASKO products have been marketed throughout North America by ASKO Appliances, Inc. for over 23 years. As an Energy Star® Partner, ASKO is a leader who consistently exceeds Energy Star® standards. ASKO develop innovative dishwashers, washing machines and dryers that save water and energy while providing superior performance and revolutionary design. In addition, all ASKO residential products offer an industry leading 2 Plus 1 Warranty – two years of coverage with an additional one year of coverage upon product registration. No other warranty provides parts and labor protection like the ASKO 2 Plus 1 Warranty. 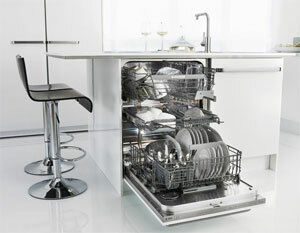 ASKO dishwashers provide more value and convenient solutions for your money in every detail. Sturdy flexible racks, world class energy efficiency with low water and energy consumption along with unsurpassed cleaning and drying performance are designed to meet and exceed all of your demands when choosing a new dishwasher. All of ASKO dishwashers are tested before they leave their factories. ASKO tests of 12,500 hours on their dishwashers are equal to approximately 20 years of use. ASKO dishwashers meet the highest demands in design, function and durability, as well as environmental awareness. They clean better, use less water and last longer. Seagull Distribution is a ASKO Dishwasher San Diego Dealer. Copyright 2019 Seagull Distribution - 3670 Clairemont Dr. Suite # 2, San Diego, CA 92117 All rights reserved.